Most cars, trucks, and motorcycles are stolen for the value of their parts. Don’t make it easy for someone to steal your vehicle. It will most likely be disassembled before it can be recovered by law enforcement. Security devices are available in three main categories—deterrent devices, anti-theft devices, and tracking devices. Do you want to deter theft, prevent theft, or track your vehicle if it is stolen? This guide will help you understand your options. An alarm system is designed to discourage theft—not prevent theft. If your vehicle is parked on the top level of an empty parking garage, neither flashing lights nor piercing sounds will deter a thief. Alarm systems are only effective in areas where they will attract immediate attention. And unless the alarm is unique, it will be ignored. For instance, people have become immune to the horn beep from a driver accidentally pushing the panic button on their OEM (installed at the factory) key remote. If you want to add additional security to your vehicle’s OEM alarms, aftermarket (installed after the vehicle is purchased) alarms can be installed. They create the sound using the vehicle’s horn or a separate siren. The driver’s smartphone can also receive an alert if the alarm is activated. Aftermarket devices are usually armed and disarmed with their own remote. Passive alarms turn on automatically—such as the OEM anti-theft devices installed at the factory. They are disarmed when the car is properly unlocked. Active alarms must be armed and disarmed by the driver. Before purchasing an aftermarket car alarm, consider the places your car will be parked when unattended. If you always park in busy public places, the attention a car alarm will attract may be enough to deter a thief. Anti-theft locks differ from alarms in that they can prevent a would-be thief from stealing your vehicle. Anti-theft locks should be used if your vehicle is frequently parked in isolated areas. Tire locks are more than just effective anti-theft locks. Their high visibility can deter a thief from attempting to steal your vehicle. But because they are bulky, storage is difficult. And since they attach to the dirtiest part of your car, removing and installing them can be a dirty process. Tire locks are not the best choice for daily usage, but are more suited to longer term parking. A steering wheel lock—available in two styles—prevents your steering wheel from turning. The first style is a long bar that attaches to its face. The second style attaches to the top of the wheel and extends over the dash. Steering wheel locks are visible from the outside of your car, making them a deterrent as well as a preventive device. But the lock is cumbersome to store and install. And the installation and removal can damage the interior of your car. The installation of a brake pedal lock will prevent a thief from depressing your brake pedal. But they will have to break into your car to discover the device. So make sure to have a theft-deterrent decal on the driver-side window. A gear shift lock, which attaches to the shift lever, will also prevent the movement of your vehicle. But before the thief notices the lock they may have already broken out your window glass. Again, display a theft-deterrent decal on the window. Immobilizing hardware prevents your vehicle from moving by preventing one or more of your vehicle’s components from working properly. Unlike anti-theft devices, immobilizing devices are permanently installed—usually out of sight to thieves. Just make sure theft-deterrent decals are installed on your vehicle, or you risk an unnecessary break-in. Such devices do not need to be stored when not in use and are more easily activated than anti-theft devices. Kill switches will interrupt the flow of electricity or fuel to your vehicle’s engine. Starter, ignition, and fuel disablers are essentially kill switches since they short circuit the vehicle’s electrical or fuel system. For convenience of use, these switches are remotely activated within the interior of the car. Fuel line shut-off valves and battery disconnect switches can also be installed directly in either the fuel line or the battery cable. But because you have to crawl under the car or raise the hood to arm/disarm them, they are not practical for daily usage. Removing the right fuse will prevent your vehicle from starting. But installing a fuse cut-off switch is a more convenient theft-prevention measure. Keep in mind that If a thief is not in a big hurry, it won’t take them long to figure out how to jumper the fuse terminals. A smart key system (also known as keyless entry) is technically an immobilizing device. Keyless entry will be discussed in more depth later in this guide. A few vehicles are manufactured with laminated safety glass in every opening. A driver’s side window made with safety glass is more difficult to break than one with standard glass. While this makes it harder for a thief to get inside your car, it also makes it harder for you and your passengers to get out of your car in an emergency. If your vehicle comes with safety glass, there’s not much you can do to mitigate this safety risk. But before installing aftermarket films that imitate laminated safety glass, consider the safety implications. What happens if your alarm or anti-theft device didn’t prevent your vehicle from being stolen? Several vehicle tracking systems are available to help you recover it before it becomes a pile of parts. If the tracking system transmits data in real-time, it is an active system. A passive system communicates remotely via a wireless connection. Most vehicle tracking systems use both. LoJack is an example of a commercial tracking system that connects with both law enforcement personnel and/or the vehicle’s owner via smartphone. GPS (global positioning system) systems emit a signal that can connect with police departments and take them to the location of a stolen vehicle. GPS systems can also connect to your smartphone. It is, of course, best to avoid the scene of a crime unless you are a member of law enforcement. Special software also allows to set the geographical boundaries and monitor the condition of a car. 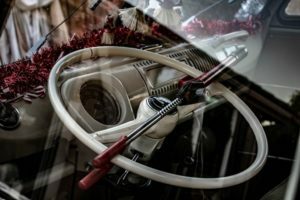 In the early life of the automobile, car doors were locked and unlocked with a button on the inside or a keyed lock on the outside. While not the most convenient way of locking/unlocking vehicle doors, it is the most reliable. There are no batteries to replace and no electronic components to fail. Standard key entry is commonplace in commercial vehicles. But non-commercial vehicles are typically equipped with upgraded electronic locks. The power door lock was first used in 1914 on a Scripps-Booth luxury automobile. Packard began using them on their luxury cars in 1956. The early power locks were only operated from within the vehicle; outside the vehicle the locks were operated with a key. Today the electric door lock is common on cars and most light-duty trucks. Beginning in the early 1980s external keypads were installed by manufacturers on some of their models. The driver entered a numeric code—programmed at the factory or by the driver—to open the door from outside the vehicle. External keypads have been largely replaced by remote locking systems activated on the key fob. These remote control key fobs are usually equipped with trunk/liftgate buttons which will open the trunk or liftgate from within the vehicle or remotely. Pressing a panic button will sound the vehicle’s horn and/or flash the vehicle’s lights. As an added option, remote starting can be ordered from the factory or installed as an aftermarket product. Older vehicles would never leave you stranded because of a key issue. The vehicle might not start, but you could always unlock the driver’s side door, and turn over the ignition. Many modern vehicles have a key override if the remote quits working. But not all do—leaving the driver stranded until a local car locksmith arrives. Even more advanced are keyless entry systems—discussed in the next section. 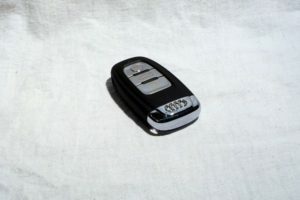 A smart key system (also known as keyless entry) is a part of the vehicle’s computer system. Doors can be locked and unlocked by touching the door handle or using a remote that has coded computer chips unique to your vehicle. The vehicle can be started remotely or by pressing a button on the vehicle’s dash. If you have your hands full of shopping bags, a smart key system allows you to open your vehicle without fumbling through your pocket or purse for a key. If your vehicle is equipped with a keyless entry system, make sure the battery in your remote is changed regularly or you risk being unable to unlock or start your vehicle. However, in the event of losing your car keys, even an advanced electronic smart key can be easily replaced and programmed with the help of a reliable car key replacement service, such as the one we provide. A ground anchor is a piece of hardware that is attached permanently to concrete. A chain and padlock can then be used to lock your motorcycle wheel to the anchor. This anti-theft lock can only be installed on property you own, or property you control with permission of the property’s owner. It is a good choice for protecting your motorcycle when parked at your primary residence. Be sure to use a high security lock and a high security chain when securing your bike to the ground anchor. For added security use two high security locks—one for the anchor and one for the bike. A ball-joint lock is a portable anti-theft locking mechanism that offers good security. A series of hollowed-out ball joints are connected together to protect a steel cable. The entire assembly is covered with a plastic coating to prevent damage to the motorcycle components. A male and female component, attached to the ends of the cable, lock together—securing the wheel to the frame of the bike. The ball-joint locks discussed previously are sometimes referred to as articulated locks. But articulated locks (bar locks) are technically a series of steel bars linked together with steel bolts. This design offers the most flexibility for anchoring the motorcycle to an immovable object, or securing the wheel to the frame. This locking mechanism is easily folded up and stored for convenient transport on the motorcycle. A brake disc lock is a u-shaped device that slips over the edge of your bike’s disc brake. A pin on the lock extends through a hole in the disc into the other side of the lock—preventing the wheel from turning. This lock is very compact, while still providing good security. Besides providing anti-theft protection, some locks are equipped with powerful alarms as a deterrent. The small size makes this lock easy to forget before starting the bike. Some owners attach a cable between the lock and the handlebars as a reminder to remove the lock. 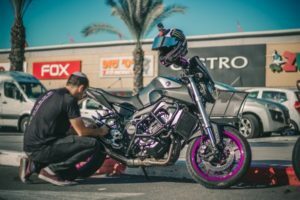 With enough manpower or equipment, motorcycles secured with ball-joint locks and brake disc locks can still be picked up and loaded into a van. When traveling, a U-lock is a good choice for securing your motorcycle to an immovable object. The U-lock comprises a large shackle with a locking base to close the open end of the shackle. The motorcycle wheel can be attached to an immovable object, such as a street sign, with the U-lock. This guide has introduced you to a number of ways to increase your vehicle security. How do you choose? Get the crime statistics for your vehicle from your local law enforcement office. And then decide on the type of security based on the threat level. 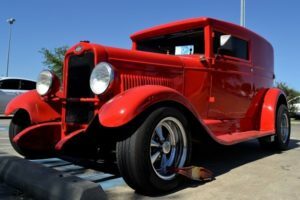 If your vehicle is way down the list in the stolen parts market, you may not need to increase your security measures by much. 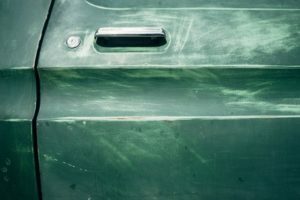 If it’s right at the top, you may need to invest heavily in the latest security devices.